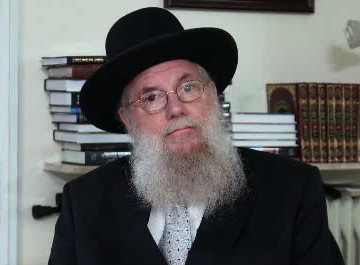 Hagaon Rav Shmuel Kaminetsky Shlita, Rosh Yeshiva of Yeshivas Philadelphia, has encouraged this program as one of great importance and this was one of the leading factors in the founding of WebChaver. 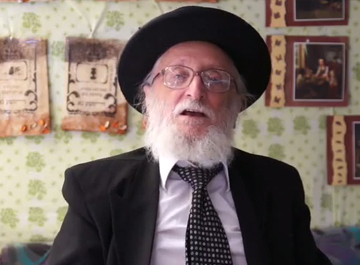 Hagaon Rav Yitzchak Berkovits Shlita is the driving force behind the WebChaver project. 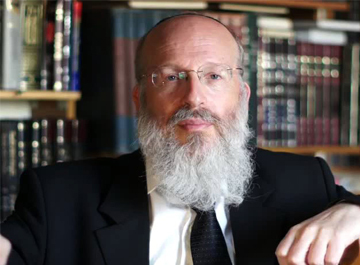 His Kollel – The Jerusalem Kollel was the original testing ground for the WebChaver initiative. 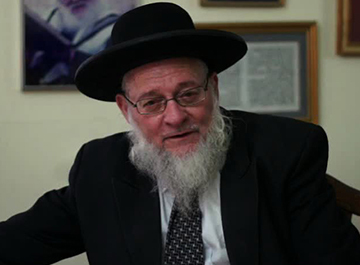 Click to read the letter signed by the Moetzes Gedolei Hatorah of America. R' Yitzchok Berkovits Shlita speaking about the benefits of WebChaver and why he introduced the WebChaver program in his Kollel. R' Dovid Goldwasser Shlita passionately describing the dangers of the internet, and the tremendous benefit of WebChaver. R' Zev Leff Shlita speaking about the challenges of the internet and giving his warm encouragement to the creators of WebChaver. R' Mendel Weinbach ZT"L, Rosh Yeshiva of Yeshivas Ohr Somayach Yerushalayim, giving his warm Haskama to the WebChaver program. 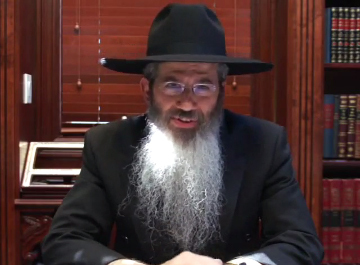 R' Avrohom Chaim Feuer Shlita speaking for WebChaver about the tremendous importance of Shmiras Einayim. 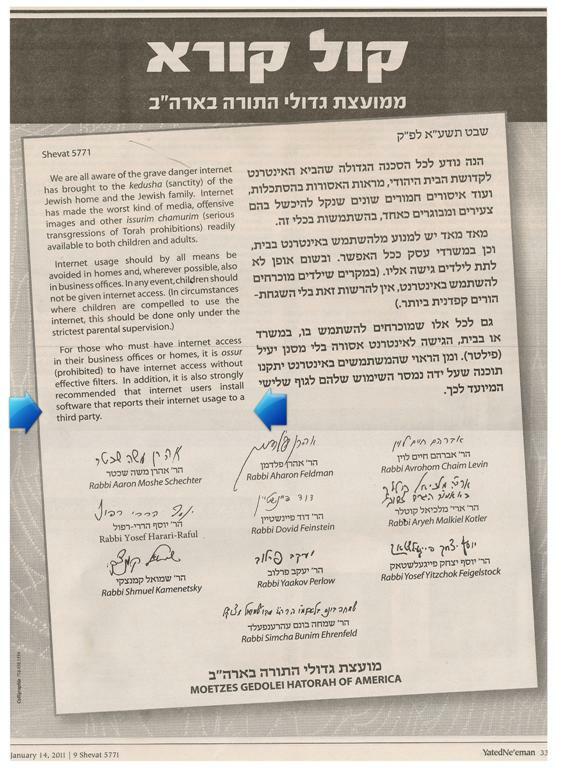 The Rabbonim have stressed that their endorsement of the WebChaver initiative is not to be construed as an endorsement for internet use. This program is intended for those who are already using the internet for necessary purposes, and need an effective method of protecting themselves and their families from the internet's intrinsic dangers and temptations.